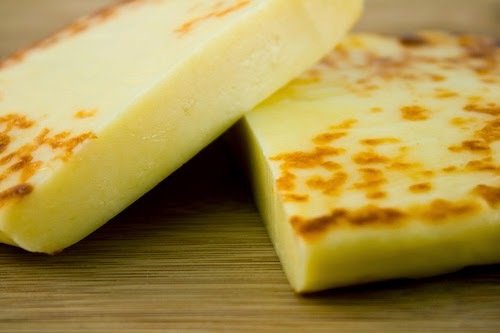 texture is more important than taste where my appreciation of food is concerned. i've always known it, but i was recently completely convinced in it. there are two food items that are almost tasteless, but that have completely opposite textures. one are water chestnuts, the other the finnish leipäjuusto, or cheese-bread. chinese and thai food are my all time favourites. 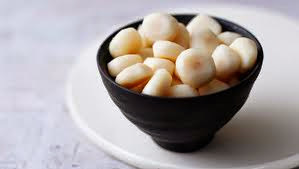 however, even though i am not a picky eater, for some reason i cannot stand water chestnuts. tasteless as they are, they make me feel sick. on the other hand, the finnish pancake-looking cheese-base for either salty or sweet spreads, also with almost no taste, is something i am mad about, and prepared to pay for dearly when i come across it outside of finland. and i never put anything on it so as not to spoil the 'taste'.